We install gable conservatories across… Warwick, Royal Leamington Spa, Kenilworth, Wellesbourne, Stratford-upon-Avon and Warwickshire. Made to measure, built to last – Each gable-end conservatory that we offer is designed to your individual requirements and installed by a team of skilled tradesmen. 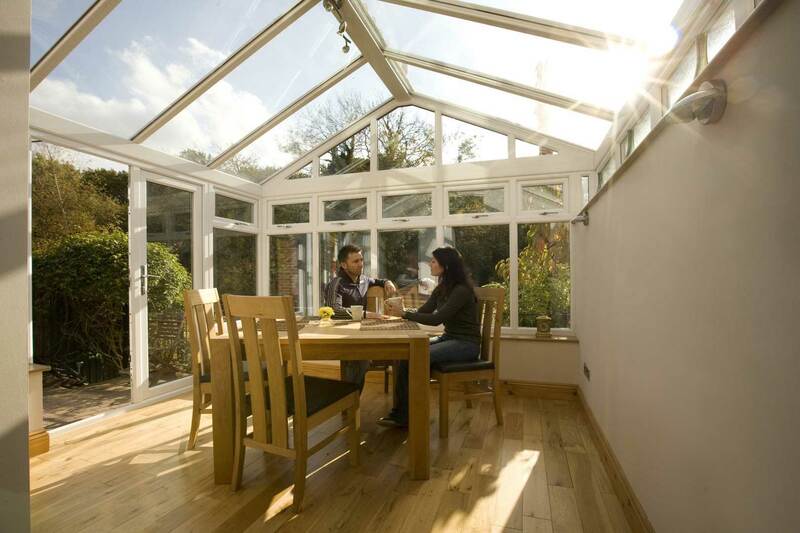 Both our workmanship and the conservatory are covered by our ten-year guarantee, which means that you can rest assured you’ll have a standard of conservatory that is going to enhance your home long after it has been initially installed into your property. The high-rise ceiling of the gable-end conservatory is the ideal way to capture a sense of freedom in your new living area. When combined with high quality glazing, these conservatories are able to let natural light flood in which will enable you to enjoy the benefits of a bright and spacious living area. This is the ideal way for you to let the outside in while keeping the elements out, so you can enjoy the best of both worlds. The gable-end conservatories that we offer can be fitted in a wide range of beautiful colour options, ranging from standard colours inspired by tradition through to woodgrain foils that enable you to capture the look of timber without worry about any outdated features. 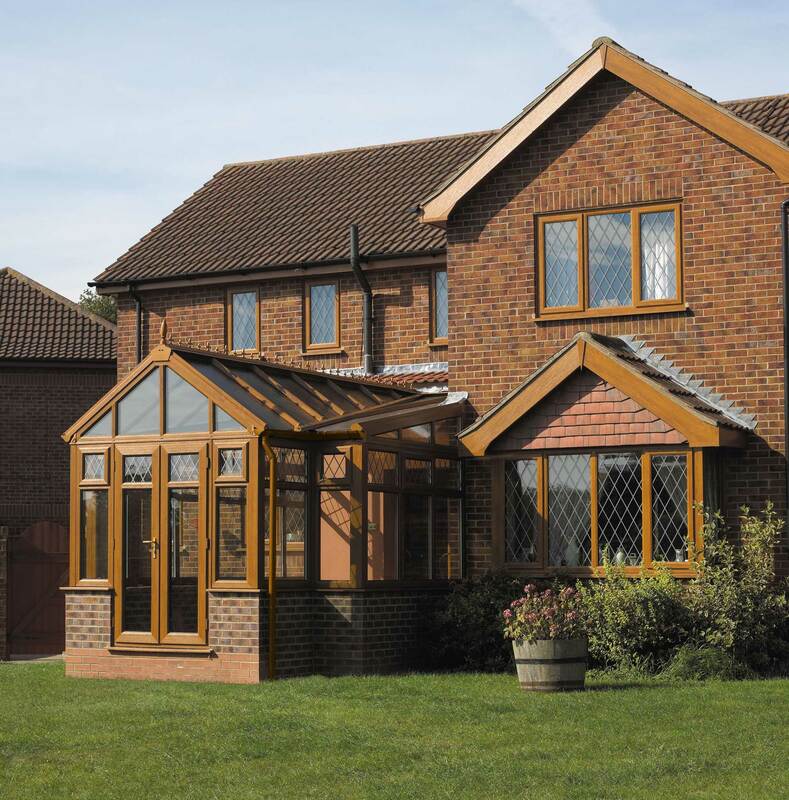 Whether your home is modern or traditional, or you’re looking for a conservatory that blends in or stands out, we can offer you something that perfectly suits. They are square or rectangular, just like the Edwardian, but the vertical roof, stylish front elevation and windows that reach right to the apex give a great feeling of height and space, adding a touch of stately grandeur to any home. 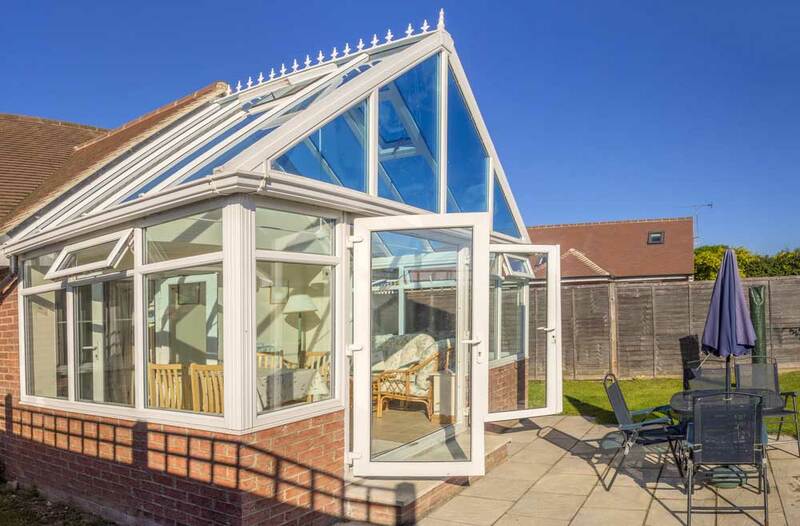 The triangular front of the gable end is particularly eye-catching and this style of conservatory can really enhance your property, even if you live in a low-pitched bungalow or you’re looking to adjoin it to an extension. Maximum space and light, the triangular apex gives the perception of a higher roof and this gives the interior of the conservatory an incredible atmosphere. The gable front maximises the light from all angles whilst the symmetrical shape allows you to use the internal space extremely effectively. We can easily add in different features, such as self-cleaning glass and bespoke wall options to make it utterly unique. 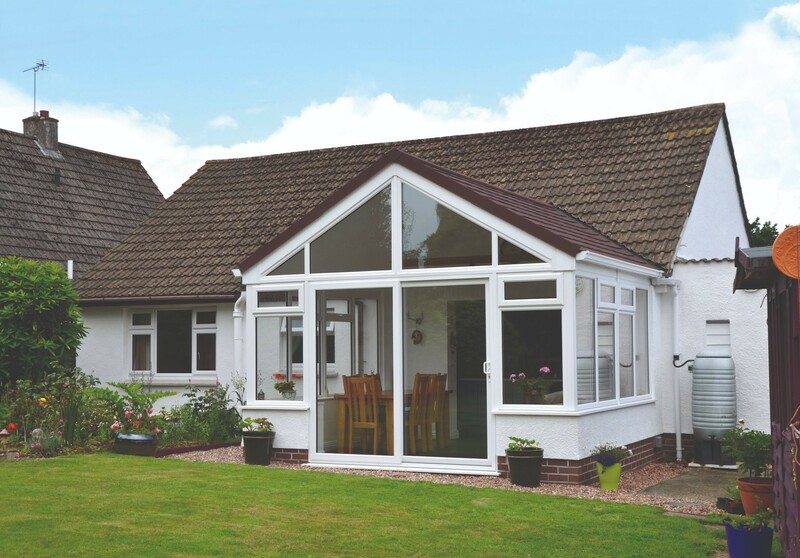 Feeling comfortable in your gable-end conservatory shouldn’t come at the cost of style or performance. With this in mind, all of the conservatories that we offer are manufactured from profiles that work to trap in pockets of warm air. This means that the warmth provided by your central heating will stay in your property for a longer period of time, which will not only keep you comfortable but also could enable you to save money on your heating costs too! Choose from a wide range of wall and glass options to ensure your gable-end conservatory gets the right finish. This includes fully-glazed walls which are the ideal way to let the light in and enjoy greater views. You can choose from a full brick wall or dwarf wall to get a build that suits you too. Our self-cleaning glass has proven to be a popular option due to its practical benefits, but we also offer a range of different styles for you to choose from. 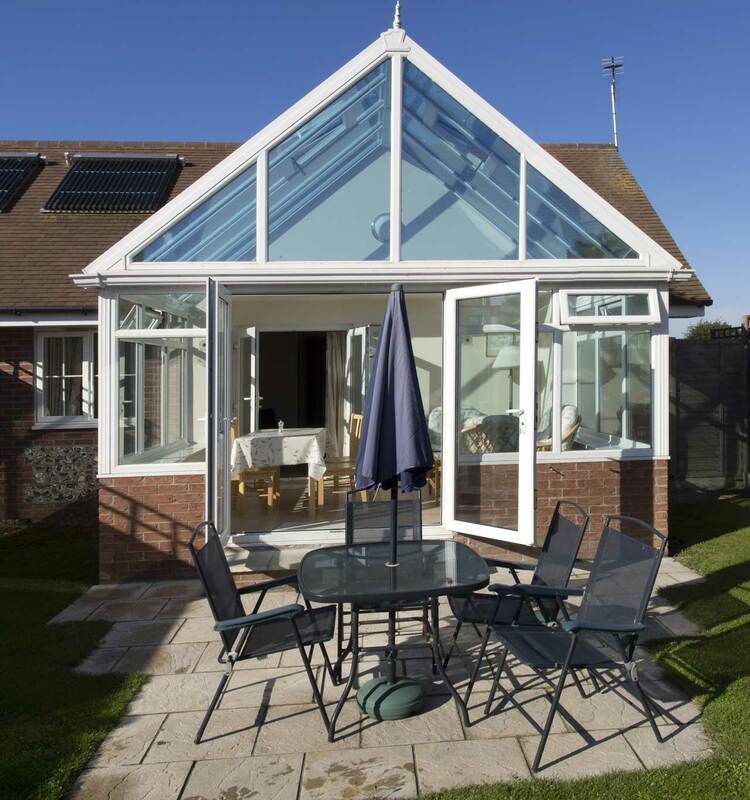 For your complete peace of mind, our gable-end conservatories combine premium grade materials, high-security locking systems, and professional installation to ensure they don’t serve as a potential weak spot in your home. This means that you’ll be able to feel safe and sound in your home, with the locking systems integrated into the window and door frames to ensure they can’t be used as a potential point of leverage. 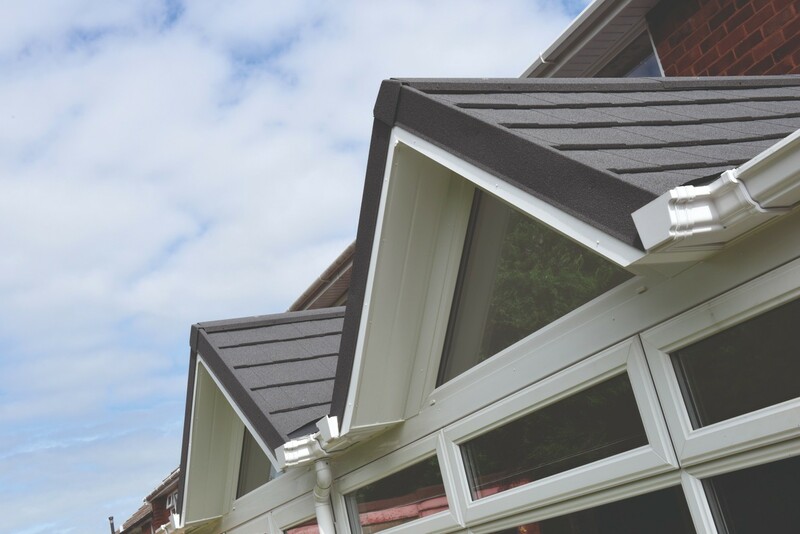 Due to the inherent qualities of uPVC, our gable-end conservatories are able to offer a standard of lasting quality that requires very little input from you. This means that they won’t rot, warp, crack, discolour, crack, peel, or fade over time when they are exposed to the elements or under constant use. All you will need to do is give them a quick wipe down with a damp cloth to keep them looking and performing at their very best. Visit our online quoting engine to get a free, instant, and highly competitive gable-end conservatory price. Simply input your details through the step by step process to get a tailored price that has been tailored to your specifications.